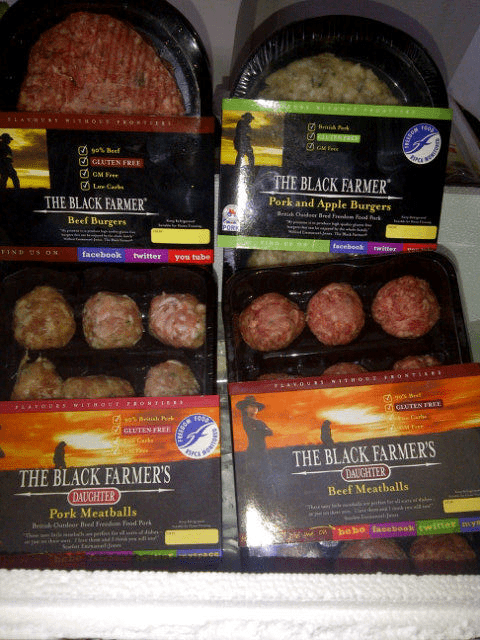 I am a big fan of the Black Farmer’s sausages, so when I received a goodie box from them the other week with some new products, I was very excited! The best parcel I had received for a while, meat glorious meat! While the beef burgers and the pork and apple burgers remain in my freezer, perhaps somewhat foolishly waiting for BBQ weather (I may have to give up on this soon judging by the current downpour – drought, what drought!?) I tucked straight into the meatballs! There were two kinds here; pork meatballs and beef meatballs; both were part of the Black Farmer’s Daughter range, which also includes my favourite – chipolatas! Coincidentally, I have been going through a bit of a meatball-obsession at the moment, so the timing on receiving these couldn’t have been better! Firstly, I tried the beef meatballs, which I fried in olive oil and mixed with chopped tinned tomatoes, tomato puree, chopped onion and a little cream cheese. Pasta and meatballs, a sneaky treat, but so worth it! These were so delicious – meaty and with a good texture. You can tell they are not full of nasty crap or bulked out with bredcrumbs like some products, yet they held together really well when frying. Next up I tried the pork meatballs, though I have no photographic evidence as my camera unfortunately committed suicide that week! The pork ones held together just as well – I had these in my lunchbox with veg, and to be honest they were just like the Black Farmer sausages, minus the skin! 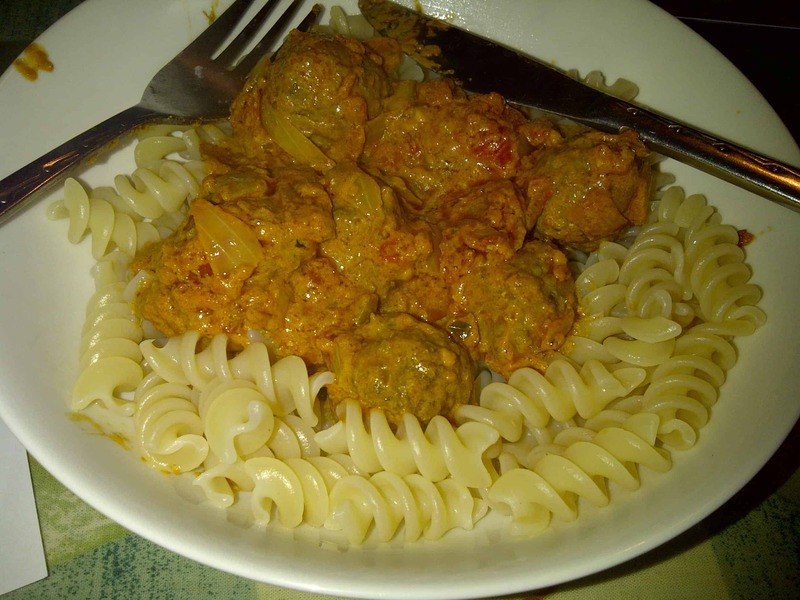 Overall I was really impressed with these products – I usually make my own meatballs with mince as the supermarket ones seemed to be packed with unnecessary gluten, but this will make a nice treat when I am feeling lazy! Now I just need some sunshine, because I can’t wait to try the burgers! For more information on the Black Farmer’s gluten free products, click here. Previous Post GUEST POST: Thyroid surgery from across the pond!